More and more pros are selling pieces of their @WSOP action, for the good of the game? TV networks like ESPN and tournaments like the World Series of Poker have been trying for years to increase the excitement of poker events for the casual fan watching from home, using similar tactics that sports arenas use to hype games. They’ve done a pretty good job sportifying the game. They, at times, edit out unexciting hands, and highlighting characters and the drama that inevitably arise during the course of a large-field poker tournament. However; some believe that poker is plateauing in its appeal to the general public. And, besides, it’s generally good for the game to find additional ways to engage the casual fan at home. Which begs the question: How can this be done? Some pros have found a new approach, namely offering pieces of themselves — with mark-up, of course — on staking sites for the public to purchase. It’s not only Phil Hellmuth, either. Many other pros have put up WSOP packages, including Todd Brunson, Rex Clinkscales, Mike Matusow, Rep Porter and Ian Johns. 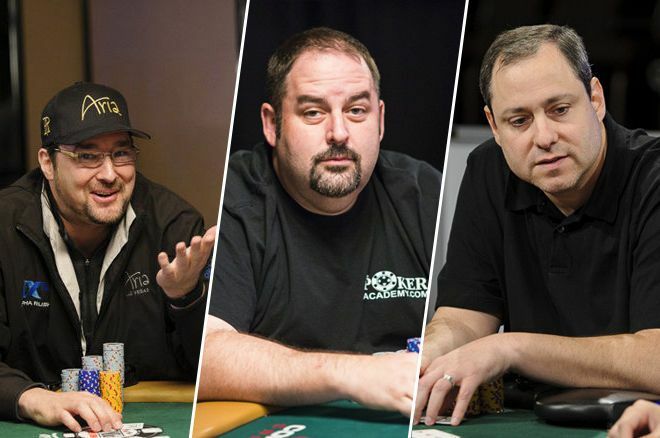 Hellmuth recently put out a tweet highlighting his colleagues with packages available via YouStake, which shows the growing number of pros getting on board. Perhaps poker could take some tips from the sports world that it at times emulates, and find ways to make the game more fan-friendly. Think kids' zones at ball parks, NFL Network and ESPN listing fantasy points along with traditional game stats, and the ever-growing popularity of sports betting. The times change and like any other industry, many feel poker should adjust if it is to grow. Most people can attest to the fact that when you throw down a wager on a game, or even just get in a bracket pool at work, you're naturally more interested in watching it play out. It’s all about buy-in, in the literal sense. "For those folks, staking $20-$100 on a player is like going to the movies or a sporting event." The same goes for poker. Or at least, one would think. Some diehard fans of Hellmuth will follow along with the PokerNews live updates to monitor his WSOP progress in every event he registers, but most won’t. If they’ve had drinks with him or they're from the same town, maybe they do. But what if his fans could buy a piece of his action? Being able to buy a piece on a site like YouStake or bet on players on other sites like PokerShares gives fans the opportunity to get financially involved. All-time leading WSOP bracelet winner Phil Hellmuth offers pieces this summer. Co-Founder and CEO of YouStake, Frank DeGeorge, explained just how their staking site increases fan interaction with sports like poker. "There are many fans of poker that are not capable of ever going to a WSOP but just love the game. For those folks, staking $20-$100 on a player is like going to the movies or a sporting event. They are in it for the sweat and potential bragging rights with the friends." DeGeorge went on to give a real life example of one backer on their site, a poker lover from Nebraska who can't travel to WSOP and has no poker rooms nearby to play in. "It opens up the door to a huge spectrum of people who currently can’t compete." Being able to bet on players can be an exciting prospect for poker fans around the world, most of whom will not step foot in the Rio all summer for one reason or another. But as the recent 1.8 Phil Hellmuth mark-up debate indicates, many in the poker world fall on different sides of the fence when it comes to appropriate levels of mark-up to be charged. If someone buys a piece of his action though, you better believe they will be checking on Helmuth's progress. And they will enjoy doing it, 1.8 mark-up or not. At least, that’s the belief and argument of Rep Porter, who, along with fellow coach at The Poker Academy Ian Johns, has followed Hellmuth’s lead in offering pieces of their WSOP action at a 1.5 mark-up. 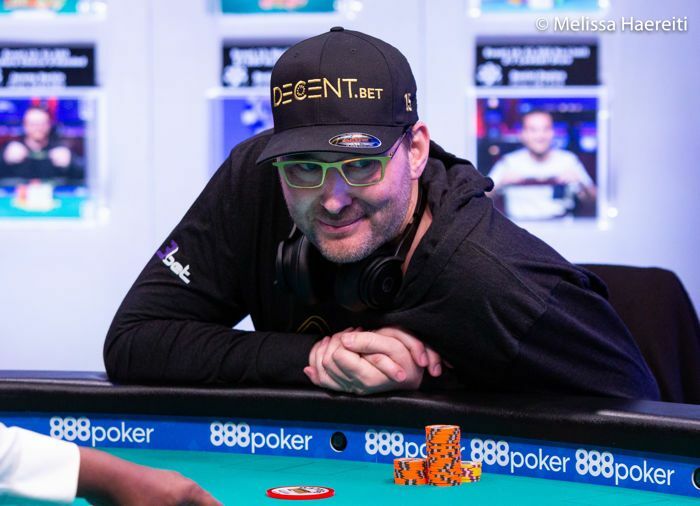 The debate over Hellmuth's mark-up is what prompted Porter, the three-time bracelet winner, to break his standard procedure of not offering pieces except small ones to friends. Rep Porter playing at the WSOP. These types of opinions are leading to a new, growing avenue for getting more people involved in the niche poker world. “I think it’s a great way to try to grow poker,” said Porter. “I mean, you have to bring new people into poker. People have to have a venue to be able to come into poker from, and if it’s just going and sitting in a room where they don’t know how to play with a lot of other people, they’re a little leery of that. And online poker everyone’s a little afraid of." In Porter's eyes, poker is falling behind other bustling industries like esports, an industry that has a lot of crossover with poker in terms of fans and participation. For Porter, allowing people at home the opportunity to bet on the game in some way or another, just as people sit at home and bet on NBA and NFL, will bring more people to poker. This happens directly on games or via fantasy leagues where they actually have some control of their lineups, and the same could go for poker. As far as the $25K fantasy, though, Porter thinks its reach could be extended to more casual fans through staking sites. So one team could be drafted by a pro and it could go up for people at home to buy a piece of. Then, fans at home can sweat the action all series long, say 250 individuals who all buy-in $100 for a piece of a team, rather than putting up the full $25,000 that each team costs. "So we have a lot of people in mine that aren’t here, aren’t players, so it keeps people interested in poker." 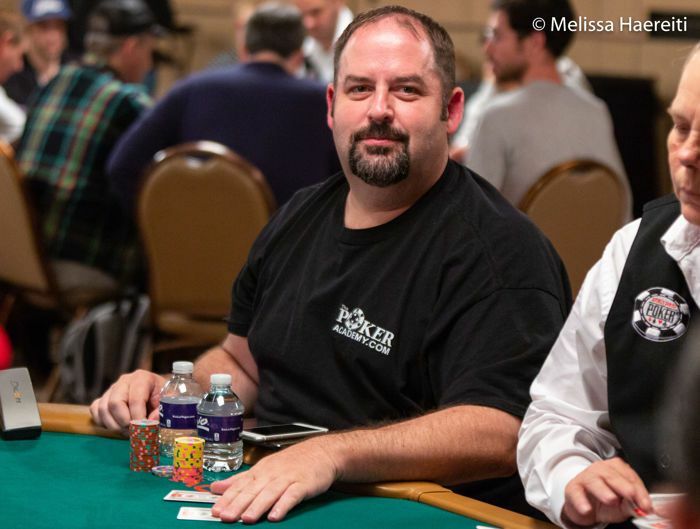 David “ODB” Baker, who runs the big $25K WSOP fantasy league and has a piece of one of Negreanu’s teams, enjoys doing fantasy and also sees it as a great way to get more people involved in the game. For Baker, fantasy leagues are another way to grow the game that he loves. No matter what side you fall on in the staking debate, one can’t deny that having a horse in the race, whether it’s the Kentucky Derby, the Stanley Cup or the World Series of Poker, makes watching it play out a lot more exciting. Some have used the "free market" argument to back Hellmuth up — if he's one of the only big-time pros selling, and the number is 1.8, it seems like a simple case of supply and demand. The fans want it, so they’ll pay. A simple lesson in economics would indicate that perhaps as more pros start selling publicly, competition will drive mark-up down. If you can buy Hellmuth at 1.8 or Ian Johns at 1.5 or Rex Clinkscales at 1.05, you suddenly have a wider array of options. And what a steal! One of the most famous poker icons among us, 2003 Main Event champ Chris Moneymaker, put up a package for 20 percent of the Main Event, selling at 1.4 mark-up — and, go figure, it sold out in a few hours. Could he have sold 20 percent at 1.8 as he joked? Sure — but he didn’t. If the outspoken and ethically-driven poker community decides that it’s only OK to sell to the public at 1.5 or below, and some start to do so, then suddenly a whole host of people at home will have lots of options of profitable players to buy pieces of, at between 1.05 and 1.5 mark-up — and a whole host of people actively invested in a game that maybe only intrigued them before. Maybe in due time, if this catching trend continues, the market corrects itself and fans and players both get what they consider to be a good deal. Maybe the fact that people at home are willing to pay a big mark-up for famous players should tell us that there’s a market for this kind of “crowd-sourced” staking, and the poker world could follow suit and give the fans what they want, as many pros have started to do. Will some pros try to take advantage? Of course. But the poker world has a pretty solid reputation of calling out scammers. And a little research will go a long way in this new staking market, as fans at home get savvier and follow the game even more than before — with a little skin in the game.